Lessons + Wisdom – Page 2 – sharing the stories that help you find your path. A lot of what we are living today is based on the very things that we inherited from our ancestors. And if we’re going to be honest about it, not all of that is something to be proud of. Some of it has caused tremendous pain and trauma in the world, much of which has been passed on for generations. Some of it has caused tremendous fear and anxiety, which has done the same. But at some point along our journey, we must come to recognize that evolving times call for evolved minds, emotions, and ways of being. When your thoughts no longer serve your current condition or circumstances, you must be willing to replace them with new thoughts that will better serve you. One of my favorite teachers on this subject would have to be Abraham and Esther Hicks. If you’ve never heard of them, I’d advise you to get started here. The biggest problem with this is that most people focus on the problem more than they do the solution. To add to this principle on beliefs, whatever you focus on most in life, will grow, and you will start to see more and more evidence of it all around you. Imagine that… It’s no coincidence that the person who chooses to focus on love, prosperity, and abundance are those who get to experience those things in their daily lives. So how do we ensure that we are evolving in a way that will bring us closer to a more unified, healthy, and loving world? Well, when we become aware of our own thoughts, we have to be honest about what comes up. If you find that your thinking is predominantly everything that you don’t wish to experience, then you must be willing to shift beyond those beliefs because they contribute to the whole. With the surge of technology and platforms like YouTube, we are quickly becoming the spiritually awakened generation who understands the fundamentals of change better than any generation that ever lived. It is up to each of us to keep ourselves educated on the principles and ideas that will move humanity forward. More importantly, we must be the demonstration of what we learn, because faith without action is useless. When we are willing to change ourselves (individually) for the better, we help change our world collectively. I’ll leave you with this brief lesson by Abraham of how we can take charge of our own beliefs (video below). Watch and comment, I want to know what you think. P.S.- If you enjoyed this content and you’d like to read more, join my email list where I send out a daily newsletter to inform, inspire, and remind you of your inner light. Click here to JOIN THE LIST! 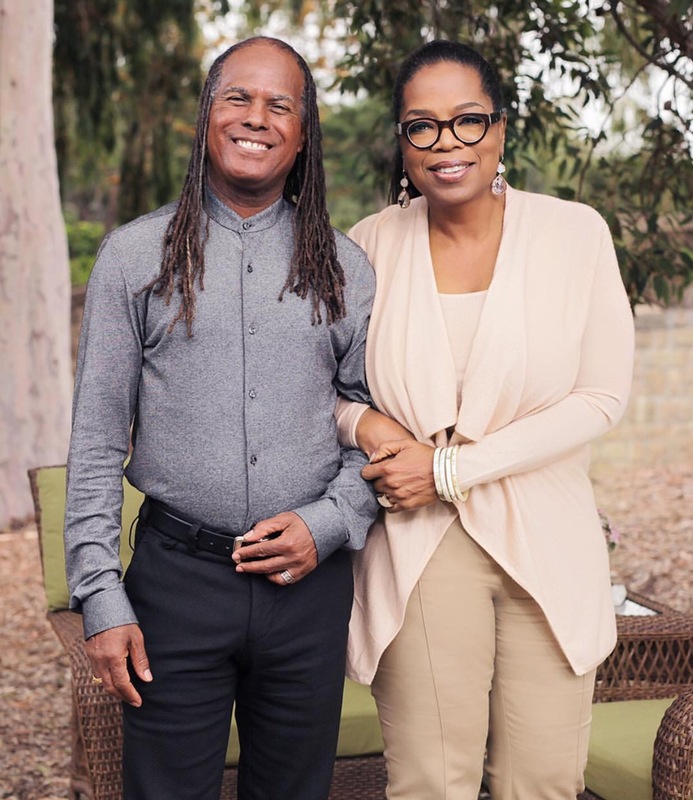 This past weekend I was struck in awe of the beautiful lessons shared on Super Soul Sunday with Michael Bernard Beckwith and momma O. In case you’re wondering why he looks so familiar, you may recognize him as one of the captivating speakers on The Secret documentary. He’s also written several books and has a mega trans-denominational church with more than 9,000 members in Southern California. Yes, he’s “that” guy! And I get why seeing as though I must have watched this episode at least 6 times, and I’m certain to watch it several more times. 1. 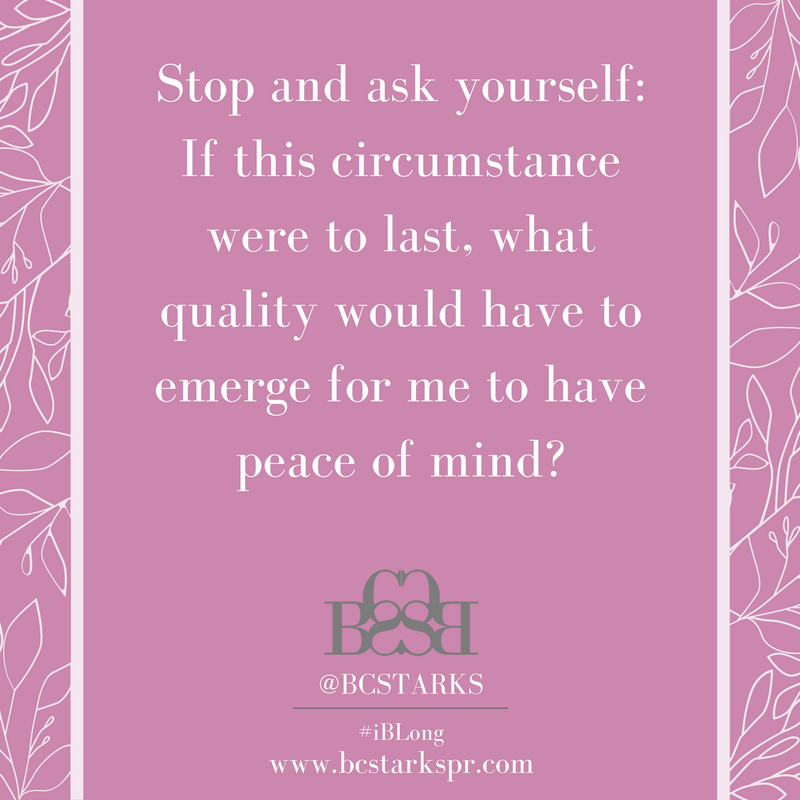 Always stop to think about the lessons of the moment… How can I grow through and from this circumstance? This one question may bring up words like strength, love, or patience… whatever the answers, at that very moment, wherever you are, start practicing those things. Start being patient, start showing your strength, start loving more. And the more you do these things, over time you will have developed a new and improved version of yourself. And more than likely, your circumstances will have changed for the better. For me, the qualities would be patience, perseverance, discipline, and trust. What qualities would have to emerge for you? Leave your answers in the comment section below. 2. 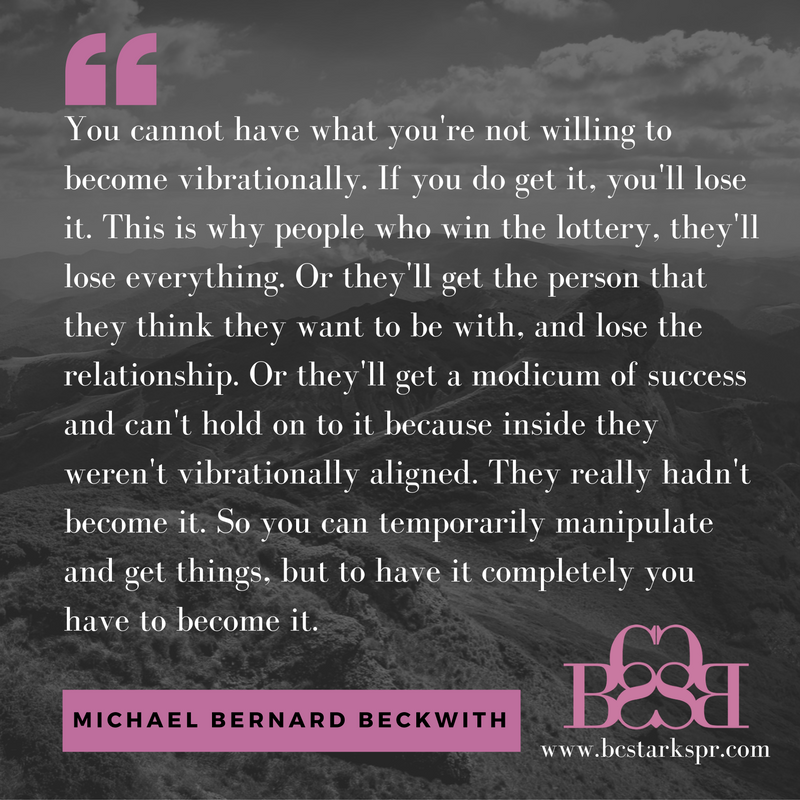 You can only have what you are willing to become vibrationally. You have to radiate the feelings of it. 3. When you are feeling stuck, be willing to open up to a power greater than you and ask for help. As I said before, POWERFUL lesson after lesson! I had to share it here with you all in case you missed it. I tried embedding the full episode into this post below, but in case it doesn’t work out, you can watch it by clicking here. Please comment your thoughts and reactions below. I’d love to get your feedback! Fashion Statement: Have you SHOPPED the NEW Blackout Edition Collection? This week I launched a new collection of conscious apparel with the purpose of promoting individual spirituality, in hopes to spark collective change. My favorite saying is inspired by the great spiritual leaders before us, including Jesus. Christ once said, “The kingdom of God cometh not with observation: Neither shall they say, Lo here! or, lo there! for, behold, the kingdom of God is within you” (Luke 17:20-21 KJV). This very verse pointed to the answer to all of our questions, the solution to all of our problems. Now, more than ever, this message reigns loud and clear as humanity is being tested, and compassion, empathy, and love are desperately needed. As an act of love, I am donating portion of the proceeds to charity. With so much going on in the world, it’s important to be mindful of the thoughts and ideas that we allow to enter our subconscious mind. We are continuing to learn and practice the idea that “Thoughts-become-things.” As we continue to understand this concept, it is important that we practice the thoughts and beliefs that are going to bring more love, cooperation, confidence, authenticity, and trust and loyalty in our business and relationships. With this in mind, I designed a printable poster for you to hang next to a mirror, on a wall, by your desk, or wherever you wish to place it. On this poster you will find 7 Powerful Beliefs that you can practice in business and life. The more you practice repeating an idea, the more you believe it. The more you believe in something, the more life will show you evidence that this belief is true. Remember, you can only accomplish what you believe you can, you can only go where you believe you can go, you can only have the life that you believe you can have. Let’s make our thoughts count towards the life we wish to live. Download your free PDF Poster now! Well, I want to make it available to EVERYONE regardless of whether or not you follow me. If you are a subscriber, I want you to be able to share content if you are inspired by it, because we never know who needs inspiration. This video is a tool to get you thinking, and hopefully inspire you to pursue your passions regardless of fear and thoughts of limitations. So here it is, NO STRINGS ATTACHED. All I ask is that you watch, share if it inspires you, subscribe if you’d like to see more from my channel, and comment if you’d like to share your ideas on the subject or others. When most people think of business, the first thing that comes to mind is hardly ever spirituality or religion. In fact, it’s typically money, money, and… money. In many instances people prefer to keep the two worlds separate, unless of course it’s part of the business plan. But believe it or not, business and one’s psychology and spiritual beliefs go hand in hand. What you believe governs how you manage your business. I’ve been in a space a time or two as a young entrepreneur where some of my own limited beliefs kept me from achieving higher levels of success, and in some instances, kept me from taking action at all. Whether it was thoughts of not having enough money to invest in resources, feelings of not knowing enough or being supported, or thinking that I didn’t deserve to charge more for my products or services. I’ve crossed paths with all of these scenarios. But it wasn’t until I checked and altered my own belief system through much discipline and right action, that I was able to see things change in my business affairs, and ultimately, my life. Business is a spiritual pursuit. Your business will not grow unless you grow as a person. If you want to lead others, you have to lead yourself first. Consider this: When you invest in a belief system, faith, spiritual practice, etc…you are setting the tone for the messages, actions, relationships and quality of service that your business represents. Whether it’s your own company, or you work as an employee for someone else, you bring yourself to every situation. In every interaction, your attitudes and beliefs could mean the difference between being very profitable or having a failing business. The key is to be mindful of self-sabotaging behavior, which is the result of negative or wrong thinking. With a shift in focus towards actions guided by thoughts of abundance, resourcefulness, maintaining good relationships, a belief in one’s own power, strength and capabilities, success is inevitable. Your business will grow so long as you are willing to. That’s where Life-Brand Management™ is here to help. Starting this November, I will be taking on small businesses owners, entrepreneurs, and other creatives to offer one-on-one coaching sessions that will help transform roadblocks into pathways to success. In the meantime, download 7 Powerful Beliefs to Practice In Life + Business Checklist for FREE (if you are already subscribed, check your email! ), and subscribe to get up-to-date info and useful tools to help you along your journey. I look forward to great progress for myself, and others! Manifest Your Goals Using These 5 Steps! In case you were wondering what happened to the rest of the video above, there is more! I wanted to take time out to share with my readers some of the wonderful things that I’ve come across along my journey. In particular, the concept of manifesting goals has been at the top of my list. Lately, I’ve been experiencing some of the most wonderful things because I’ve been able to apply lessons that I’ve gathered over the years to make my dreams come true. With lots of practice, and much trial and error, I think I’ve gotten this whole manifestation thing down to a science. And that’s what I want to share with you. When you follow this link and sign up, you’ll get access to the entire video where I speak in detail on how these five steps can help you manifest your goals. CLICK HERE + SCROLL ALL THE WAY DOWN!! Once you’ve watched the video, feel free to comment in the comment section with any questions or ideas that you’d like to share. I’d love to hear from you!